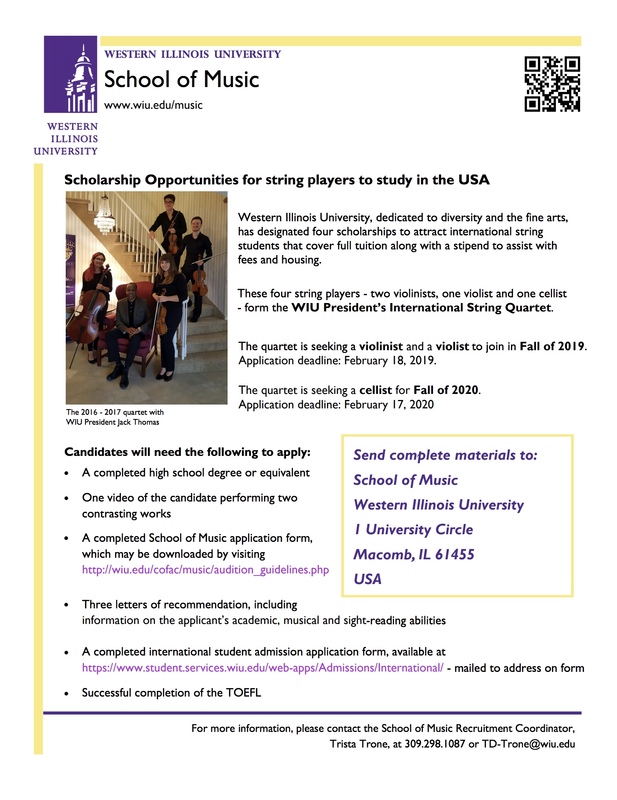 Western Illinois University, dedicated to diversity and the fine arts, has designated four complete scholarships (tuition, room, and board) to attract international string students. These four string players (two violinists, one violist, and one cellist) form the President's International String Quartet. For more inforamtion, please contact the School of Music Recruitment Coordinator, Trista Trone, at (309) 298-1807 or email her at "TD-Trone@wiu.edu".